Although these products may not be dangerous to use, most of them contain poisonous ‘heavy metals’ such as lead, mercury and cadmium that can pollute groundwater near landfills. Up to 80% of electronics can be recycled, so let’s not take risks with the quality of human health or our environment, and recycle all our electronics. For more information about consumer electronics, visit the Consumer Electronics Association website. Why not donate your working electronics to your local reuse or thrift store? Please visit the Reuse page for listings of local reuse centers and thrift stores. Other donations are accepted at the Alliance for Technology Refurbishing & Reuse (AFTRR is a not-for-profit foundation dedicated to the support of training through donated technology. They have encouraged companies and individuals to donate computers and other technology, which is then matched to charities, schools and public agencies in all 50 states, Canada, and in many countries around the world). Call 969-1222 for more information or to schedule large loads. Accepting: TVs, computers, laptops, monitors, printers/fax machines/multi-function printers, VCRs, CD/DVD players, stereo receivers/amplifiers (no speakers), UPS systems, digital cameras, mobile and landline telephones. Microwaves and heating/cooling devices not accepted. Free residential household electronics recycling collection will take place on Saturdays, on an islandwide monthly rotating basis – see schedule below. These collections are prohibited from accepting electronics from businesses, agencies and non-profits. Please note: All County electronics recycling collection sites are open from 9 a.m. – 4 p.m., only on their scheduled days. Do not abandon your electronics at these sites when the collection is not operating. 3rd Saturday of every month: Kealakehe (Kailua-Kona) Recycling & Transfer Station (Residential only) Temporary relocation across street, look for signage on day of event. TVs, computers, laptops, monitors, printers/fax machines/multi-function printers, VCRs, CD/DVD players, stereo receivers/amplifiers (no speakers), UPS systems, digital cameras, mobile and landline telephones. These are the only acceptable types of electronics at these collections. Unacceptable items include, but are not limited to, the following: microwaves, cracked CRTs, printer cartridges, shredders, disassembled electronic devices or parts. We also do not accept any electronic device that heats or cools (No heating, ventilation (including fans) or air conditioning). Business, agency or non-profit electronics are prohibited by law. The State of Hawai‘i Legislature enacted Act 13 Relating to Electronic Device Recycling during the First Special Session of 2008, this law mandates Manufacturers are responsible to establish, conduct and manage take-back recycling programs for Covered Electronic Devices (CEDs). CEDs include computers (desktops, laptops & notebooks), computer monitors and computer printers (multi-function printers okay); these devices are eligible for take-back options as of January 1, 2010. Televisions have been covered since January 1, 2011. The State of Hawai‘i Department of Health is charged with implementing this program, for more information on the Hawai‘i Electronic Device Recycling Program (HEDRP) please visit their website. On the HEDRP website is a list of Manufacturers registered and covered under this program (updated April 2014) and information on how to return your CED to the Manufacturer for proper recycling. A few sites are accepting drop-offs of Covered Electronic Devices for recycling at no charge, check with your specific Manufacturer’s program. Most manufacturers have implemented mail-back plans for the Big Island. Many mail-back plans are free while some small fees for shipping may apply to others. Retailers are prohibited from selling non-registered products in Hawai‘i and they must make information available to customers on where CEDs purchased can be returned for recycling. This take-back program also applies to all previously purchased CEDs from the registered Manufacturers. 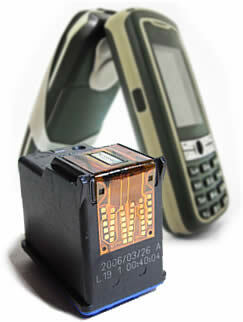 Many manufacturers and producers of electronics now have their own trade-in or recycling programs. Visit their website or contact them to inquire about any program they may have. It’s important to let the manufacturers know that we, as consumers, are interested in programs like these, and also to let them know that they too should participate in the recycling of the products they produce. Listed below are just some of the online trade-in or recycling programs where you may get value for that old electronic item towards a purchase for new electronic equipment. 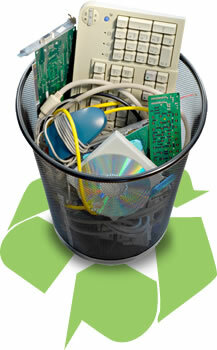 For more options just enter “electronics recycling” into your favorite internet search engine. Island Recycling www.islandrecycling.com 91-140 Kaomi Lp. Mr. K’s Recycle & Redemption www.mrksrecyclehawaii.com/ 815 Kino‘ole St.
Pacific Commercial Services www.pcshi.com 5 Sand Island Access Rd. Sims Recycling Solutions www.simsrecycling.com 99-1305 B Koaha Pl. Electronic Waste (E-Waste) is not accepted at the County’s Household Hazardous Waste Collection Events. Many mobile phone service providers and retailers offer take-back programs for mobile phone devices, contact your local carrier first. Also some local organizations hold fundraisers by collecting used mobile phones. AT&T – Any phone from any carrier. Part of the proceeds benefits Cellphones for Soldiers. Sprint – Accepts any phone, accessories, data cards of any carrier and condition. Recycle your used inkjet or toner cartridges. Close the loop and buy remanufactured/refilled inkjet & toner cartridges. Please use original packaging or other protective packing to avoid damage. Some more information about printer cartridge recycling can be found at InkGuides.com. Microwave ovens are not considered electronic waste or an appliance for recycling purposes in the County of Hawai‘i. They are considered regular rubbish.